Eureka Medical is a resource for busy medical professionals and talented independent inventors with great ideas for medical devices and healthcare products, but limited time and resources to pursue them. 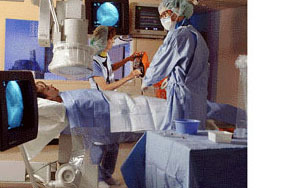 Eureka Medical offers services to both inventors and innovation-seeking companies. For medical inventors, we offer no-cost services to help refine and present medical product ideas to the best-matched medical supply companies. Visit Call for Ideas to learn more. Innovation is the life-blood of the medical device and medical supply industry. The leading companies in the field generated over 30% of sales from new products introduced within the last three years. Yet maintaining this level of innovation is challenging for even the best medical device suppliers. For corporations focused on healthcare innovation, we offer better access to a powerful source of medical invention: a motivated network sourced from the over five million independent, highly educated medical professionals and healthcare inventors. To learn more visit Corporate Services. May 6, 2005 – Dr. William Shucart, a leading Neurosurgeon, has joined Eureka Medical’s Expert Advisory Board, which is dedicated to reviewing and finding the best medical inventions from physician inventors. Dr. Shucart’s expertise compliments our distinguished panel with deep experience in the field of neurology, neuropathy, and neurosurgery. Neuropathy and pain management are key target areas for Eureka and our Sponsors, as conventional methods of pain mitigation have come under increasing pressure. The Carpal Solution is a great example of a new class of disruptive products that relieves pain at the source without the complications of oral medication and steroid injections, or the risks of invasive Carpal Tunnel Surgery. Eureka Medical’s Expert Panel awards Dr. Clyde Morgan the 2004 Top Home Healthcare Device for treating debilitatingCarpal Tunnel Syndrome withThe Carpal Solution. Dr. Morgan is an ingenious physician / inventor who developed a non-invasive treatment to allow people to take control of their Carpal Tunnel Syndrome Symptoms and return to sound sleep and full activity at work and at play with no down time or risk associated with Carpal Tunnel Surgery or Steroid Injections. Present your medical or healthcare product invention to a panel of medical device and healthcare experts. You will receive valuable advice and we will evaluate your idea for licensing and commercialization potential for our sponsor companies. There is no charge for our evaluation and development services. Our panel of experts is chaired by Jerome H. Grossman, MD, Director of the Health Care Delivery Project, Harvard’s Kennedy School and director/trustee of Mayo Clinic, Stryker Corporation, Penn Medicine and Eureka Medical, among others. Professor Clayton M. Christensen, the thought leader on innovation and business growth at Harvard. Our Invention Roadshow dates and locations are listed below. You also can participate by mail or phone. Sign up to present your invention at Invention Review Registration. 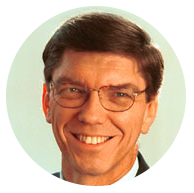 Founding Board Member: Professor Clayton Christensen. Founding Board Member: Jerome H. Grossman, M.D. Eureka Sister Company is Leading Innovation Agent Big Idea Group.